long time no blog post. i just haven't been in blog-writing mode. i've been in nose-wiping mode, vomit-clean-up mode, winter-walk mode, brownie-and cinnamon-bun-baking mode, clothes-dying mode, visiting-with-friends mode, last-minute-change-of-plans mode, list-making mode, travel-strategy-planning mode, drinking-cups-of-tea mode, sewing-clothes mode and finishing-queen-sized-quilt mode. just not blog writing. a queen sized freeform quilt in shades of white and cream, incorporating a lot of textures to keep it interesting. it also uses some fun prints that i bleached to give them a more toned-down, antique look and so that they wouldn't stand out too much. it's backed with a stunning white on white vintage embroidered bedspread and i'm going to bind it with white seersucker. more pics when it's done! a stroller seat cover for mae's new travel stroller, made from one of my favourite lecien prints that's been languishing in my stash for over two years. i never seem to have a use for black so i was super happy to finally get this print out of the fabric shelves. the seat cover was inspired by the one suzy made last year and i discovered after i'd made mine that she also has a tutorial on how to do it. i dyed a boring white cardigan for mae and added some new purply buttons. a big improvement, i think, even if the colour was supposed to be "pearl grey", a warm grey, and it turned out cool grey. did a simple jersey applique to cover up a lame bunny embroidery on some half price toys 'r us pjs. 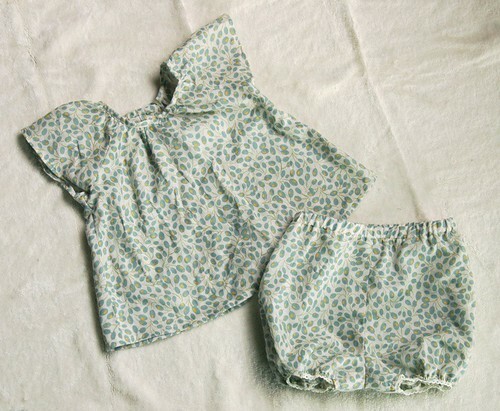 and made her a little raglan sleeve top and some matching bloomers using a light lecien cotton. perfect for canadian summer days. My stepmum has succumbed to the call of the Canadian summer as well, and gone back home for July. Hope you all survive the big day and have a lovely time while you're home. Im a new reader of your blog.... which is lovely! Very jealous that you are headed back for a Canadian summer (although not jealous of the length of your flight!)... as a transplanted Canadian in England the idea of some Canadian sunshine is beyond tempting. Canada is one place that has always intrigued me! I hope that one day I will be able to go there. Love the latest pic of your sweet girl! And all your gorgeous handwork...Mae's still takes the cake though! Enjoy the Canadian Summer...and for what it's worth from a travelling mama (a gazillion miles under my and our now-just-3yo twins) you've picked the near perfect age for a long haul trip. Enjoy it!!! Have you got a pile of ideas and things to entertain Mae during the flight (and transit), or would you like a couple? Just yell...youd be amazed at how much enjoyment a wrapped sweetie and 2 papercups can generate! (added bonus - back then my two had no idea the sweeties were anything other than a pretty colour in a crinkly wrapping...the contents remained the treat for mama and daddy! )Okay, sorry for the novel!!! Wow, gorgeous clothes! She'll be the best dressed baby in Canada! And you'd never sewed kids clothes? Crazy. Have a great time! loooove the quilt, leslie. creams and whites and pastels all together is so pretty! love your and all the really beautiful things you make! !this might be a "stupid " question but iam a beginner...how do you safely bleach fabrics?its gorgeous what you have made but im scared..
safe travels to beautiful canada! I soooooooo wish we were coming to E-town to see you guys, and to finally see Mae ... wah! I bet you guys will have a wonderful time! 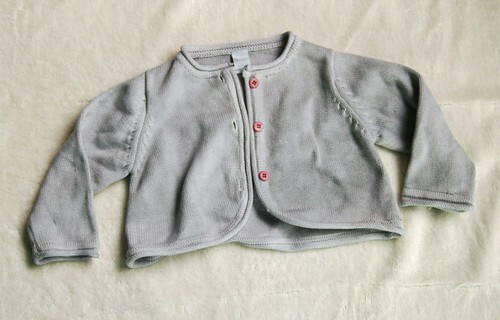 As usual, all of your crafty options are looking amazing, and Mae is going to be the best dressed little girl around. 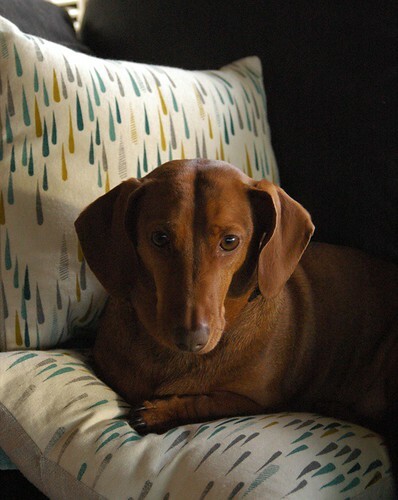 Also, I think Baxter is looking very regal and handsome - Dolly would approve! Hope the travel prep is going well! 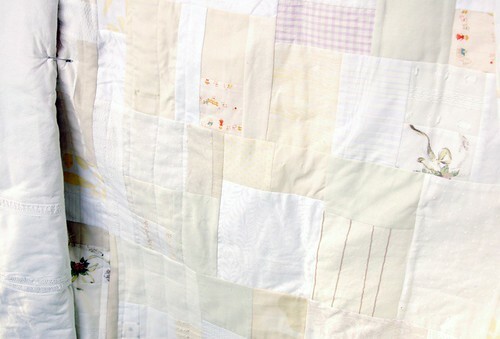 ooo love the quilt. and the cute outfits for mae. Love all the things you've been doing especially the pram liner. It's gorgeous. Enjoy your trip and the travel might not be too bad. We went to France when Chloe was nearly two. 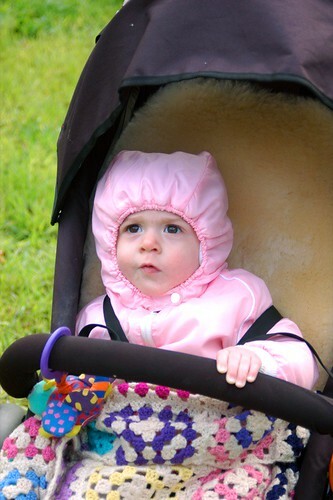 We found that, with a bulkhead seat and bassinet (she only just fit), the trip was actually better for us. Time goes quicker if you're in entertaining mode! 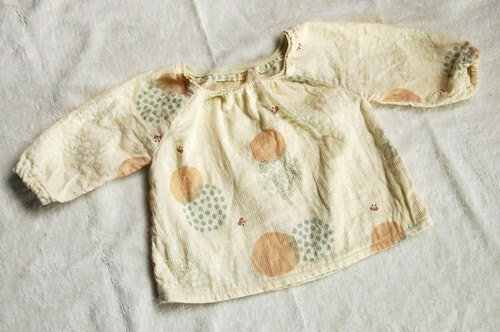 Too much cuteness there, and the raglan top and bloomers are brilliant! So many pretty projects! 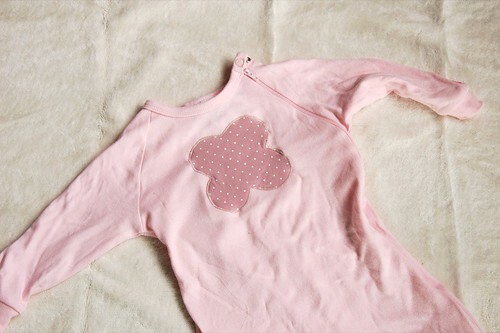 Girly stuff is just soooo cute! i'm so inspired by you. 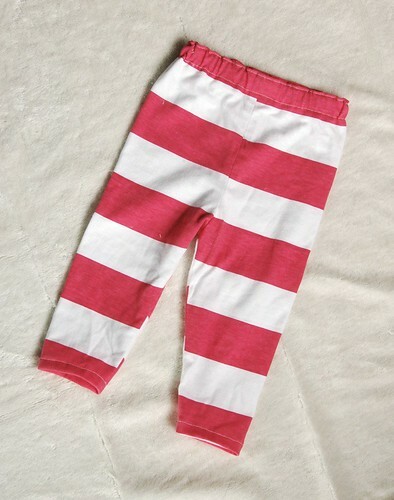 love the quilt, the striped pants, the sweet tops.. oh my! everything is just perfect! wow its been a hive of activity 'round at your place!!!! feel free to come and get through that much of my own sewing to do list! well done, have a good trip, we're planning a big trip with 2 x 1 year olds + 1 x 3 year old....yep just the thought of it makes me get all uncomfortable and stressed out! 1 or 3 children still makes for a stressful trip....I think my husband thinks he'll just travel as he usually does watching movies and drinking little bottles of wine!!!! good luck and make sure you let us know how you went! YES YES YES! More of same please. Love your work, very inspiring. Mae too cute for words. Will look a bomb in her new duds, btw; did you ever get a parcel from me? My husband and I are travelling to the US in Nov with our daughter who will be 11 months, so I am eagerly waiting to see how you go. From the sounds of other people's comments, it should be smooth flying. Have fun! I hope you have a fantastic trip. Mae is such a sweetie, I am sure she will take it all in her stride and charm all those o/s friends and rellies within minutes! A little summer rain today, be it's been a beautiful Alberta summer so far! 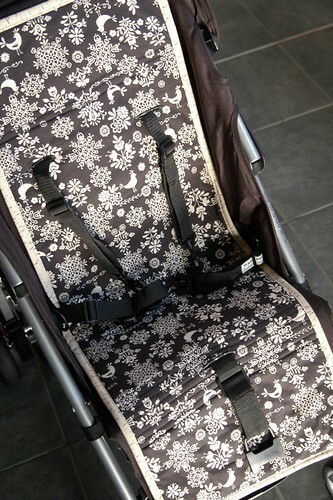 Very cool stroller cover, I love that print too! Oh my... The prints of the fabrics in this post is driving me nuts with covet-ness! So beautiful, and absolutely wonderful job on the sewing and making too.